Founded by Kent & Troy Emry, FasTrack is the culmination of years of thought and preparation. Growing up in the Northwest, we watched coffee take off in ways not imagined here in California. We committed ourselves to finding a way to bring a quality specialty coffee experience to our Bay Area customers, FASTER! 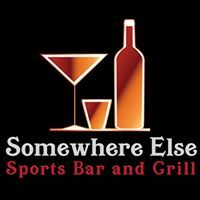 When you need a place to get away, Somewhere Else Sports Bar and Grill is exactly where you want to be. There, sports fans find games broadcast through over 40 flat screens around the bar. There's even a special viewing area with a massive projector to put main events front and center. Intimate tables are scattered throughout, where groups of friends can gather to share a specialty cocktail or a beer from the tap. We are located in the San Francisco area known as the East Bay. We carry a full line of dance shoes, dancewear & accessories, retail costumes and over 10,000 rentals. Theatrical make-up, costume accessories - hats, wigs, beards, boas, Hawaiian skirts, and leis. Print'em ALL is located in El Sobrante, CA, which is 25 miles east of San Francisco. We offer a wide variety of services from graphic design to print. Banners, T-Shirts, Signs, Pop Up Displays, Brochures, Business Cards, Posters, Window Graphics, Vehicle Magnets, are just a few things that we print in-house. Specializing in custom tile work, refilling and re-grouting. Remove grime, dirt and aged buildup. Remove old sealers in caulking, remove broken tiles and damaged grout, rejuvenate existing tile work. Design/Redesign your website and get Free SEO for 2 months. A $450 value! Restaurant and Catering, Breakfast, Lunch & Dinner. Private, Corporate and Weddings.